The single document uploader is a more basic document upload method that’s compatible with all computer setups. 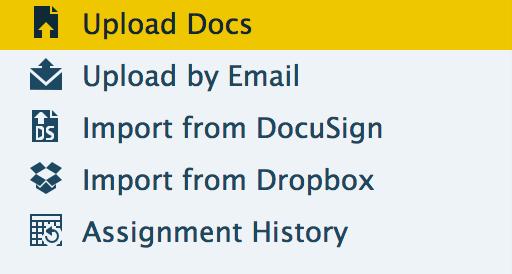 To upload multiple documents quickly, you'll want to use the Multi-Document Uploader. Choose the document you want to upload using "Choose File". Click [Upload] to begin the document uploading process. Don't leave the page until you receive confirmation of a successful upload.